The ‘baby bundle’ is part of a $157 million parenting package set to be officially unveiled by the NSW Government on Tuesday. 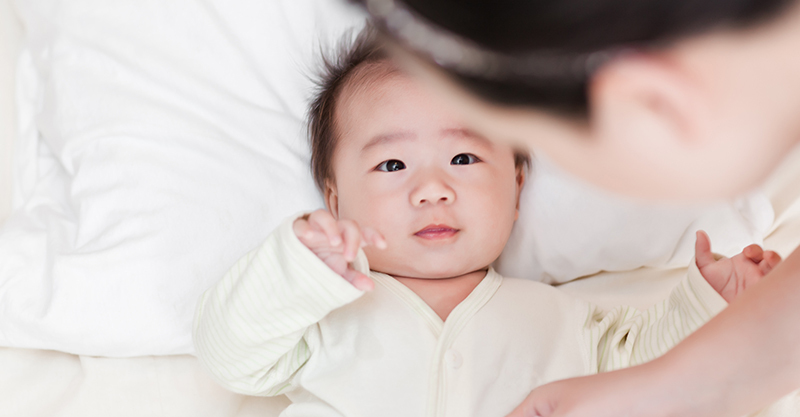 If you give birth to a baby in NSW next year, you’ll be gifted a bunch of baby products by the government, in an effort to make your parenting experience a little more seamless. The ‘lifesaving’ claim refers to the baby sleepwear, which is in line with safe sleeping guidelines issued by SIDS prevention organisation, Red Nose. NSW Premier Gladys Berejiklian said the hampers are also designed to offset the financial burden of new babies and promote health and safety messaging. Depression affects up to 1 in 10 women while they are pregnant and almost 1 in 7 women during the first year after the birth. Anxiety is likely to be at least as common. 1 in 10 fathers will experience postnatal depression. Here’s hoping the federal government steps in to inject more money into supporting families dealing with mental health conditions, although their track record for this is patchy at best, with them defunding one important service – the National Perinatal Depression Initiative (NPDI – as recently as 2015. While 90 000 babies are born in NSW each year the Sydney Morning Herald reported last week, there are NO dedicated NSW public Mother and Baby Units (MBUs) to support mums with postnatal depression or anxiety. MBUs run inpatient programs, where women facing mental health challenges/conditions can be treated and staff help them to care for their babies. Victoria has 35 beds in six MBUs, WA has 16 in two units; there are six beds in SA, four beds in Queensland (one unit each) and none in Tasmania, the NT or the ACT. Perhaps the flashy goodie bag funds would be better invested in care for struggling mums.